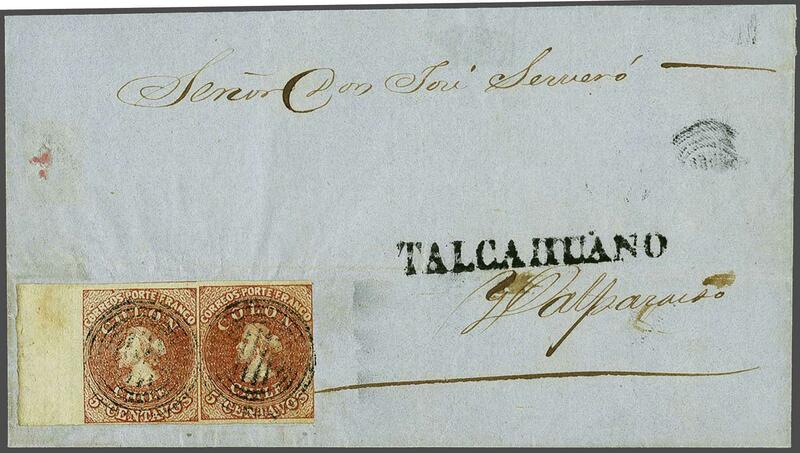 Lithographed by Henri Gillet 1854 (April-August): 5 c. pale red-brown, positions 25-26 on the sheet, a used horizontal pair in a 'dry' shade, showing some misalignment, with just clear to large margins all round, full sheet margin at left and portion of adjoining stamp at top, used on 7 July 1855 cover from Talcahuano to Valparaiso cancelled by target handstamps with TALCAHUANO straight line despatch handstamp above in black. The sheet margin with slight stain removed but a charming and rare cover for the specialist. The pair illustrated in 'First Issues of Postage Stamps' by Gerhard Blank on plate 31. Cert. 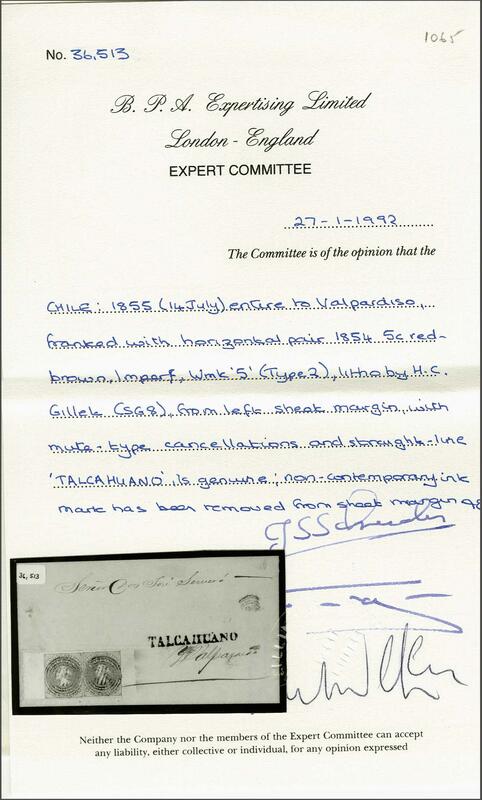 BPA (1992).rnProvenance: Collection Welczek; Collection Joaquin Galvez, Corinphila sale 62, May 1979, lot 3349; Collection Gerahrd Blank, RL; Dec 1991, lot 1065.